On Thursday, May the 18th, 2018, Radio ERENA interviewed two Eritreans, namely, Mr. Mahmoud Saleh & Mr. Ahmed Nuru Berhan Hagos related to how each chooses to celebrate Eritrea’s Independence Day – May 24th, 20181. A disclosure of sorts, as a regular columnist at awate.com, I’ve come to interact with a lot of Eritreans based on the ideas they espouse, since the inception of awate.com on September 1st, 2000. Mr. Mahmoud Saleh has been one of those unique individuals, some of whose ideas I based my previous articles – Today is no different. For the record, this is my first-time hearing Mr. Ahmed Nuru Berhan Hagos (hence forth referred to as Ahmed Hagos). What the interview reveals is, two former veteran fighters who followed similar trajectories in their life experiences up to a point of arriving in the US. 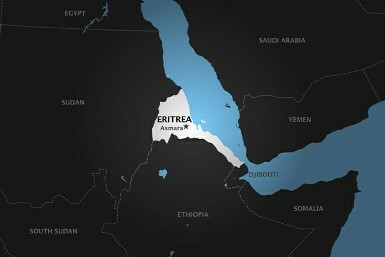 Interestingly, they both live in the same city, but their similarities end when it comes to how they choose to celebrate Eritrea’s Independence Day, which is to say, they have starkly different views. Anyone who lives in the US understands the world of “Crony Capitalism” that the US is, where business establishments collude with government leaders to exploit common man. The indispensable power that common people have in this capitalistic system is their pocket book. Therefore, business establishments are quick to listen to the public once the public convenes to boycott their products on social, economic, and moral consciousness grounds. 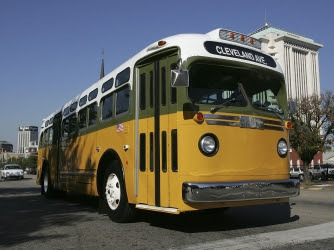 Examples abound: African Americans bus boycotting that crippled the bus system in Montgomery, Alabama because of its segregation policies sufficiently illustrates this point2. American public understands that power is not relented – willy-nilly – by those who possess it. Undue pressure of potential economic harm must be in the offing for those in power to give the public those listening ears. Eritrean regime is no different. It will never give up its helm of political power until the people demand it. Boycotting is one critical element in that formula. Mahmoud Saleh chooses to cling to the nostalgia of May 24th, 1991 when he along with his comrades came barreling down to the capital of Eritrea, decisively victorious, liberating their people from Ethiopia’s thirty years yoke of occupation. Therefore, to justify the continuation of that fond memory of remembrances of the past, Mahmoud Slaeh buys into this idea of tyranny of the majority. Since, the regime is more organized; since the regime and its supporters are vastly higher in numbers, thusly, they will give him his money’s worth of entertainment, hence, for choosing to celebrate it with the morally bankrupt regime of Eritrea. The moral equivalence that Mahmoud Saleh draws from the WWI, whereupon the soldiers from opposing army – in the midst of intense warring moment – impromptu, spontaneously, and simultaneously decided to celebrate the Christmas spirit together does not hold. The no-man-land that was between the two warring factions became a land and a space of celebration and of music and of a moment of tranquility if only to go back and kill each other – sooner than later – because their respective superiors decided to resume their fights. Therefore, the justification seems to be, as seen from Mahmoud Saleh’s perspective, every Eritrean who believes in celebrating Independence Day should heed and glean a lesson that we must celebrate the day irrespective of how wrong headed our leaders are today. The only problem with the WWI example is that the opposition does not have any power to fight back other than boycotting where the two warring factions in the above example were armed to the teeth. If every Eritrean who opposes the regime’s actions stays home and votes with his/her money, the regime might think twice and perhaps that could serve as an impetus for it to change its behavior. Attending the celebration sponsored by the regime in Eritrea is tantamount to approving of the actions that it had been taking against innocent citizens as recently as the Akhriya uprising and as far back as the violation of the Jehovah Witnesses’ rights and a whole lot of violations in between. This is a note to ALL our Martyrs, one day after the Independence Day’s celebration for our country. Women like myself are left to sadness of their own, while many danced the night out. Prisoners are made deaf with tortures, while many danced the night out. . Young generations are ignored walking the Sinai desert, while many danced the night out. Veterans are still laying – for the last 40+ years – in the same rotten mattress in Sudan, while many danced the night out. Let us hope ALL of us will work/fight side-by-side to heal permanently this pain. Dancing one night a year for the last 27 years is not the solution to our pain and our Martyrs’ bewilderment.